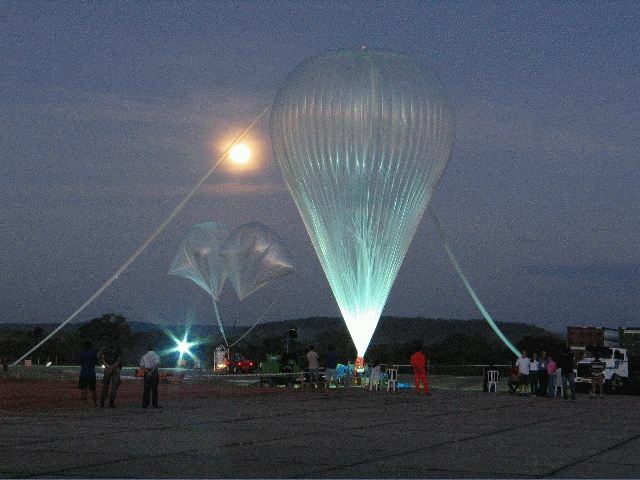 The balloon was launched at 5:55 local time on June 22, 2005 using the auxiliary balloon method. 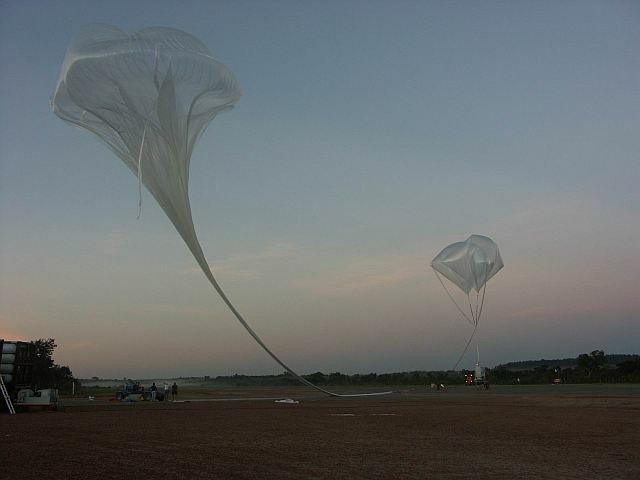 After a flight duration of 6 hours up to 34 km altitude, the separation command was transmited at 11:33 local time. The landing occurred at coordinates 5.16°S, 44.42°W about NE of Presidente Dutra city in the Maranhao State. 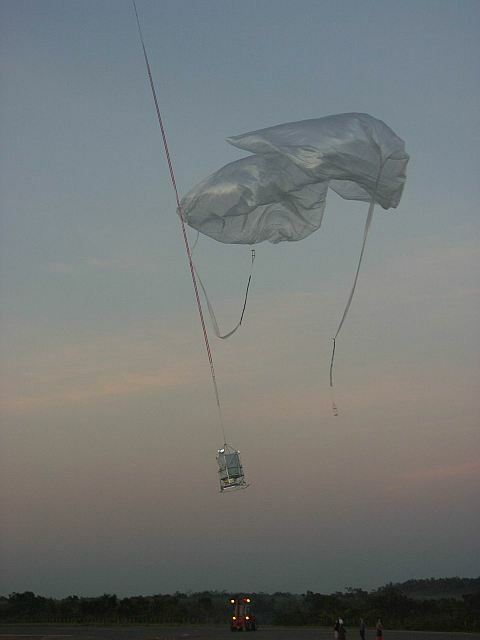 The flight trajectory and separation of the gondola from the balloon were such that the landing was in a favourable environment and with a road in the vicinity for an easy recovery by helicopter. However, hard landing resulted in damage of some mechanical parts of the gondola, but without problem for the instrument. 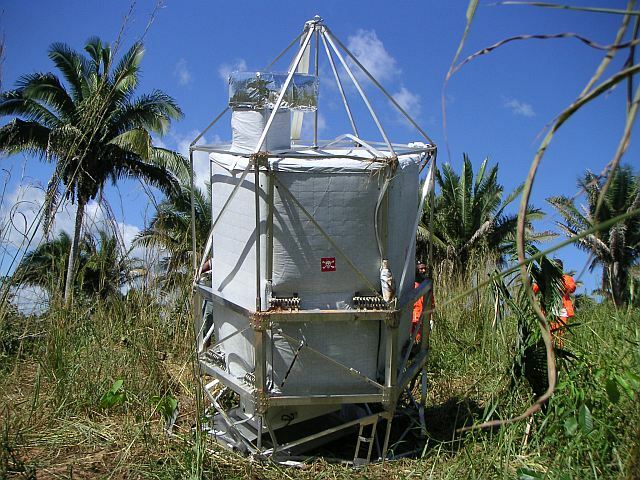 In this first flight in the tropics SPIRALE instrument participated with other large payloads of the equatorial campaign for the validation of three instruments (GOMOS, MIPAS, SCIAMACHY) of ENVISAT dedicated to the chemistry of the Earth atmosphere. A perfect direct match (simultaneous measurements at a distance less than 300 km) has been obtained between an overpass of ENVISAT and SPIRALE. Several other overpasses will be compared using backward and forward air mass trajectories calculations, allowing for additional validations of ENVISAT measurements in the Tropics. SPIRALE has measured in-situ vertical profiles of temperature, pressure, O3, N2O, CH4, CO, HNO3, NO2, NO, CO2 and HCl. In addition to validation objectives, these measurements will contribute to a better knowledge of the dynamics and chemistry of the upper troposphere - lower stratosphere (UTLS), a key region for the formation of stratospheric ozone, the injection of water vapour, pollutants and aerosols, and for the global-scale circulation.